Area code 425 was put into service. 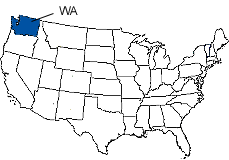 Area code 425 was created from a split of area code 206. King County, Kittitas County, and Snohomish County. Area code 425 serves the eastern and northern suburbs of Seattle including the larger communities of Bellevue, Bothell, Cascade-Fairwood, Cottage Lake, Edmonds, Everett, Inglewood-Finn Hill (CDP), Kirkland, Lynnwood, Mountlake Terrace, North Creek, Paine Field-Lake Stickney (CDP), Picnic Point-North Lynnwood (CDP), Redmond, Renton, and Sammamish in addition to many smaller communities.